In keeping your home clean and your family healthy, it’s easy to overlook the unseen risks that can accumulate over time. Home heating, ventilation and air conditioning system (HVAC) and vent maintenance are easy ways to keep your house comfortable year round. An HVAC system heats your home during the cold Chicago winters and keeps it cool in the summer. Changing the HVAC air filter is critical for ensuring efficient operation of the system and decrease operational costs. The filter keeps pollution and debris out of the system. As you would expect, a dirty filter slows down the air flow, making the system work order and use more energy. According to Energystar.gov, HVAC filters should be changed from once a month to once every three months, depending on the type of system in use. The manufacturer will provide this information in the owner’s manual. Frequency of changing the system, however, is also dictated by how much the HVAC is used. If the air conditioner runs infrequently and windows are kept open to circulate air, this may reduce the need for frequent filter changes. Follow your manufacturer’s instructions for installing the replacement filter, which can be purchased at hardware or home-improvement stores. The air vents and ducts move air throughout your house. Over time, it’s possible they will become dirty or contaminated with mold and dust. Keeping a dryer vent clear is also important for reducing the risks of fire. Mold develops in areas where moisture accumulates with poor ventilation. 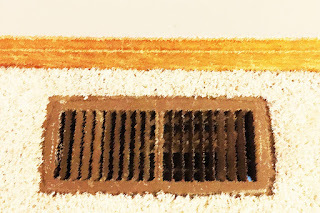 If mold develops inside your air ducts, spores may be released into your living areas. If present, mold will appear inside the hard surfaces of the air ducts or on other areas of a heating and cooling system. If insulation becomes damaged or moist, replace it. 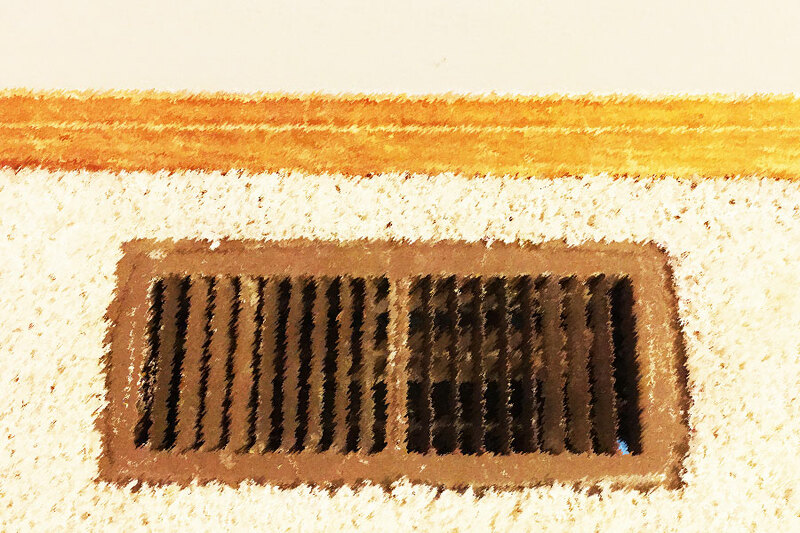 Air ducts and vents can become clogged by debris or even small animals. If this occurs, mold and mildew can be present in the decayed matter, which will then blow into your home. The home ventilation system should be professionally cleaned and inspected annually, to ensure the integrity of the system. This is especially true if you suspect you may have a mold problem, as this can difficult to detect by sight alone.